The Borough has a strongly worded policy (DP 15) which protects open spaces from development. 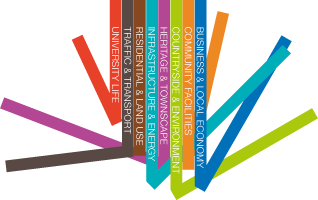 Open Spaces can be quite large tracts of land including parks and nature reserves; they can be children’s play areas; they can be sports fields; they can be small areas within the built up area which provide a local amenity or which are important for the visual appearance of the townscape. They can be publicly or privately owned. The various agricultural fields around Wivenhoe (including the “green wedge” between Wivenhoe and the University) are important to us and there will be policies to protect these but they do not come under the Open Spaces policy. As part of the Neighbourhood Plan Open Spaces need to be recorded on the eventual Wivenhoe proposals map. It is also necessary to give a justification for designating areas as open spaces. A map is given below which identifies potential and currently designated areas. Most of the identified sites are already designated by the Borough as Open Spaces and all of these are included with the exception of part of the land beside Broadfields which is being suggested as a housing site and a small area behind Croquet Gardens which is also being suggested for housing. The Borough classification of open spaces is a bit confusing. 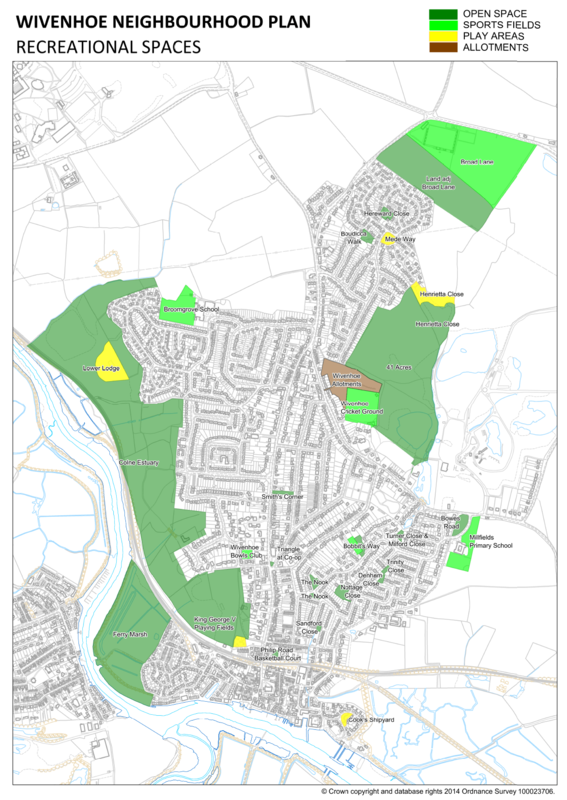 Areas shown on the map as Open Space are not necessarily publicly owned but are given protection from development by the Borough’s policy DP15 on open spaces and sports facilities. Indeed quite a lot of the land shown as public open land on the map is privately owned. To justify its inclusion and prevent it being proposed for development it is important that we have evidence of its importance to the community. There are some smaller areas/sports facilities which are not shown on the current Borough map of open spaces and it is here where it would be particularly useful to have feedback from the public and some help to justify their inclusion. The additions have tried to reflect views in the survey and at the consultation day and partly based on footwork going around Wivenhoe. The table below lists all the open spaces and sports fields which it is suggested should be included on our own Wivenhoe Proposals Map and note which ones are in addition to those shown on the current Borough Map. Please help us gather evidence of use or value placed in these sites either by completing the form below the map, or emailing us on wivenhoe.npsg@gmail.com or dropping things into Wivenhoe Town Hall (please leave your contact details so we can return evidence).